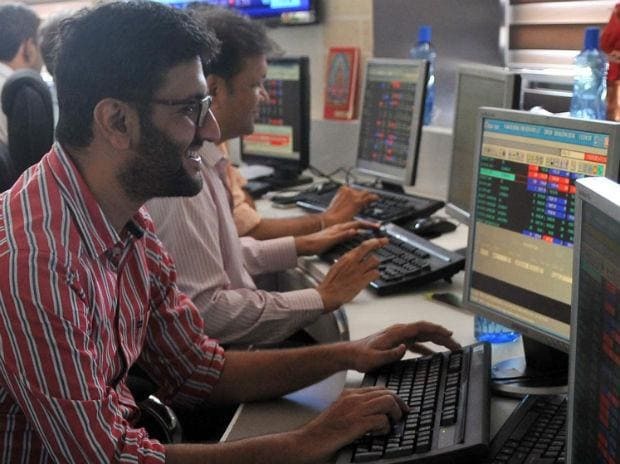 Asian Paints, Merck, Adani Gas, Future Lifestyle, Gujarat Fluorochemicals and Muthoot Finance were among 14 stocks hitting their respective all-time highs on the BSE on Friday. Among the individual stocks, Varun Beverages (VBL) surges 6 per cent to Rs 857, surpassing its previous high of Rs 849 touched on September 21, 2018, on the BSE in intra-day trade. ICICI Bank, Asian Paints, Bajaj Finance, Pidilite Industries, UPL, Capri Global Capital and RBL Bank, too, touched new highs today. Among the individual stocks, Varun Beverages (VBL) surged 6 per cent to Rs 857, surpassing its previous high of Rs 849 touched on September 21, 2018, on the BSE in intra-day trade. The company last week received a nod from the Competition Commission of India (CCI) for its recent acquisition of South and West territories from PepsiCo. In February, VBL had entered into a binding agreement with PepsiCo to acquire franchise rights in South and West regions from PepsiCo for a national bottling, sales and distribution footprint in 7 states and 5 Union Territories. Analysts at JM Financial remain confident of VBL’s ability to drive a steady improvement in operating profit margin of newly acquired geographies (through backward integration, freight optimisation and leverage on SG&A costs) which coupled with internalization of Tropicana manufacturing should help drive steady improvement in operating margin and aid in maintaining a healthy earnings growth trajectory. The brokerage firm has a ‘buy’ rating on the stock with the target price of Rs 940 per share. Ipca Laboratories hits hit a new high of Rs 1,042, up 9 per cent today, gaining 29 per cent in March. The pharmaceutical company had posted strong earnings with EBITDA (earnings before interest, taxation, depreciation and ammortisation) margin before forex gain was expanded by 385bps at 22.48 per cent in Q3FY19 from 18.63 per cent in Q3FY18. Net profit of the company increased 52 per cent year-on-year (YoY) to Rs 160 crore, while net total income grew 10 per cent at Rs 960 crore on YoY basis. Ipca Labs saw strong margin improvement in FY19, aided by the USD-INR tailwinds, higher contribution from domestic business and better product mix in the non-US generics. Resumption of broad-based revenue growth except for the US after flat FY14-18 (vs 13 per cent over FY18-21E) should result in higher operating leverage. Further, strong API (active pharmaceutical ingredients) capabilities and diversified model are advantages under the current environment, according to analysts at Elara Capital. The stock hit the brokerage firm target price of Rs 1,040 per share.